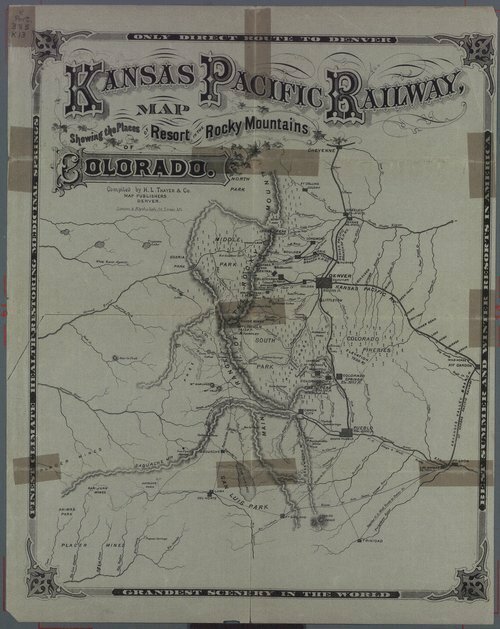 This brochure advertises the many advantages of traveling via the Kansas Pacific Railway to one of many Colorado resorts to benefit one's health. A few of the resorts described include those in Denver, Colorado Springs, Estes Park and Idaho Springs. The many medicinal benefits of the various springs are extolled as is the altitude and clean air and the "grandest scenery in the world". The reverse side features a map of the many Colorado resorts.